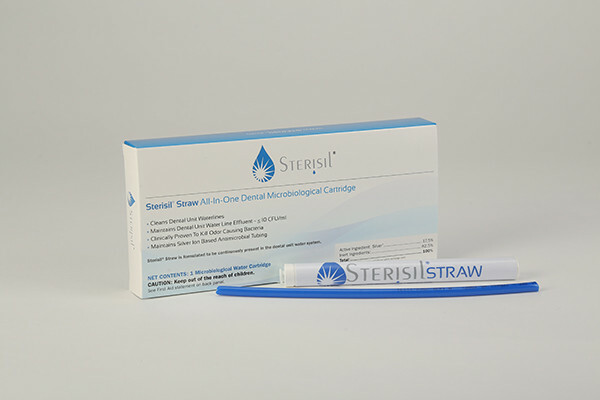 Sterisil® Straw and Antimicrobial Bottle are the solution to transitioning from daily tablets to a single yearly change out. 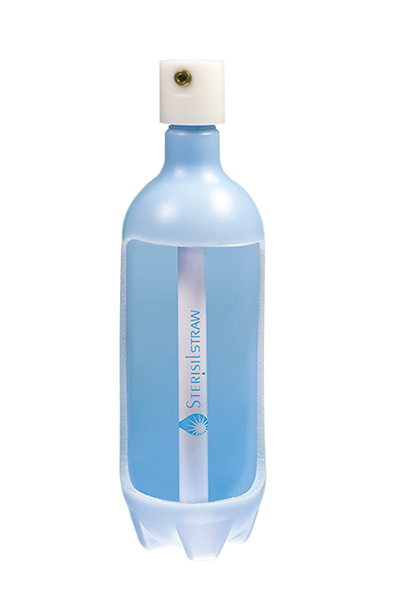 The Sterisil® Straw works 365 days to continuously disinfect dental unit water lines while providing safe and clean water for your patients, staff, and dental unit. Simply remove your existing pickup tube, and install the new pickup tube with the Sterisil® Straw on the barb fitting. Distilled or purified municipal water is recommended for optimum product performance and dental composite bonding.